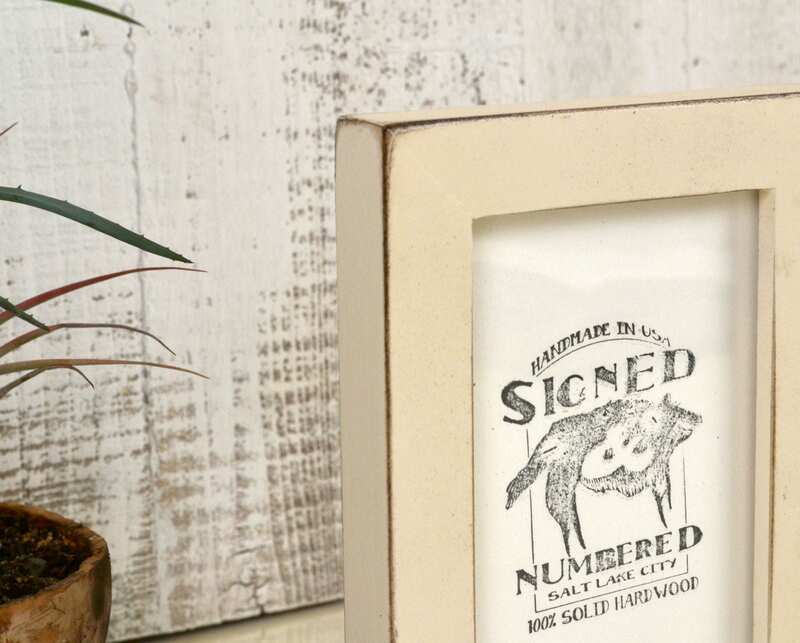 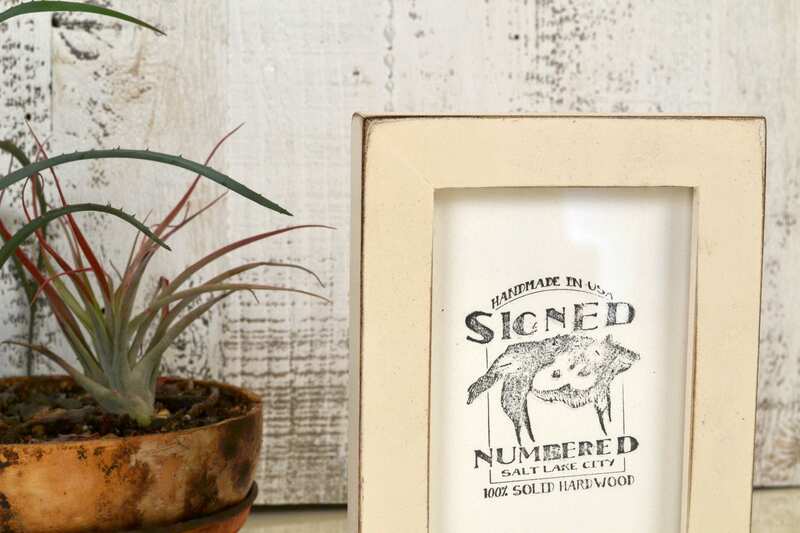 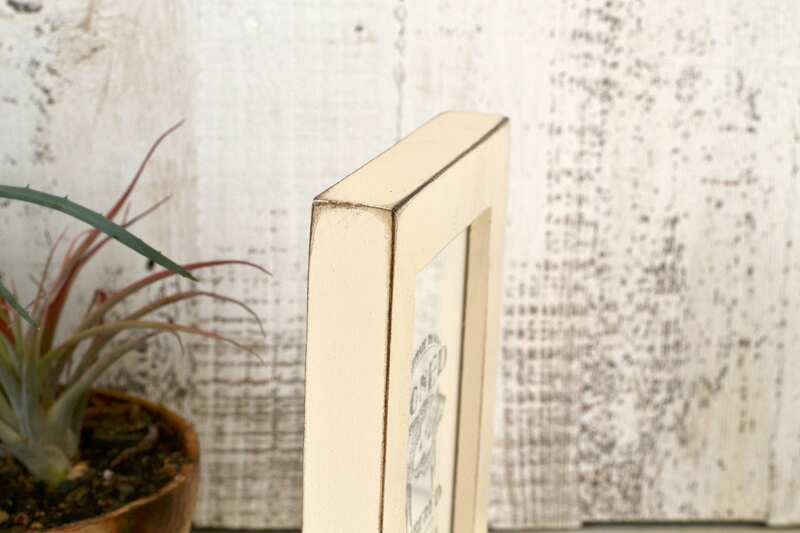 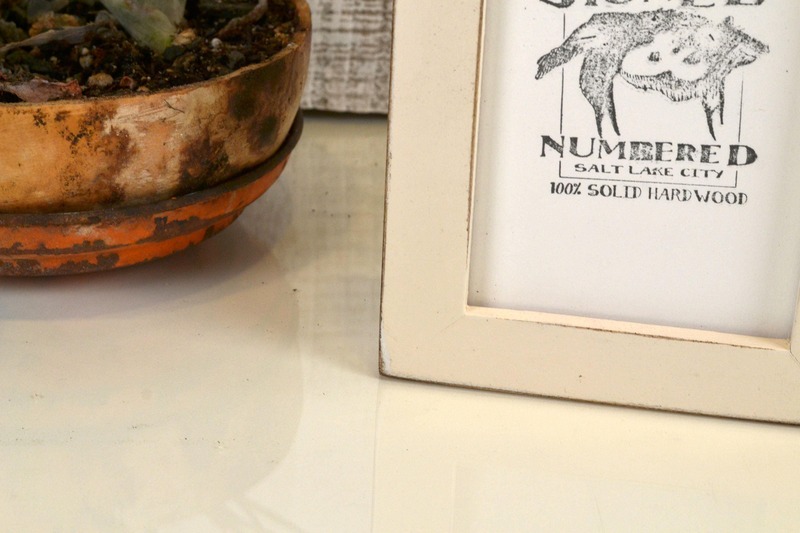 A handcrafted, ready-made 4" x 6" solid wood picture frame in a slim profile and distressed ivory painted finish. 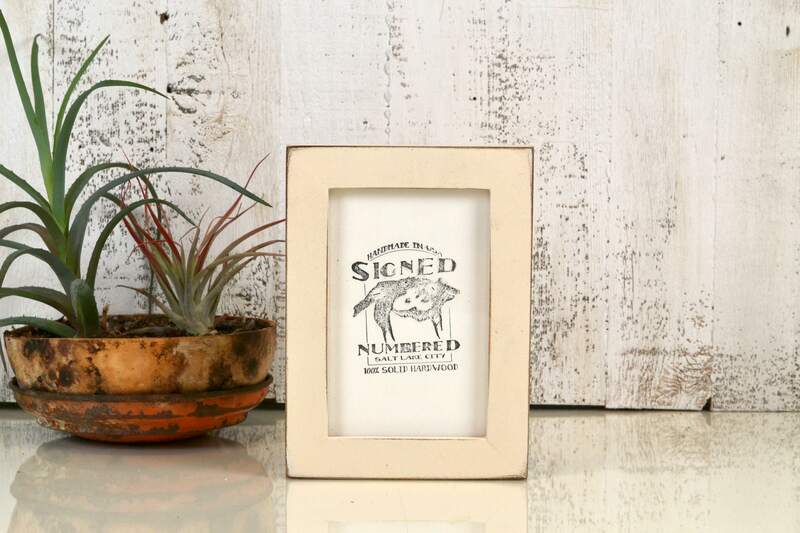 This frame is ready to hang, and will fit any print that measures 4x6" (or smaller). 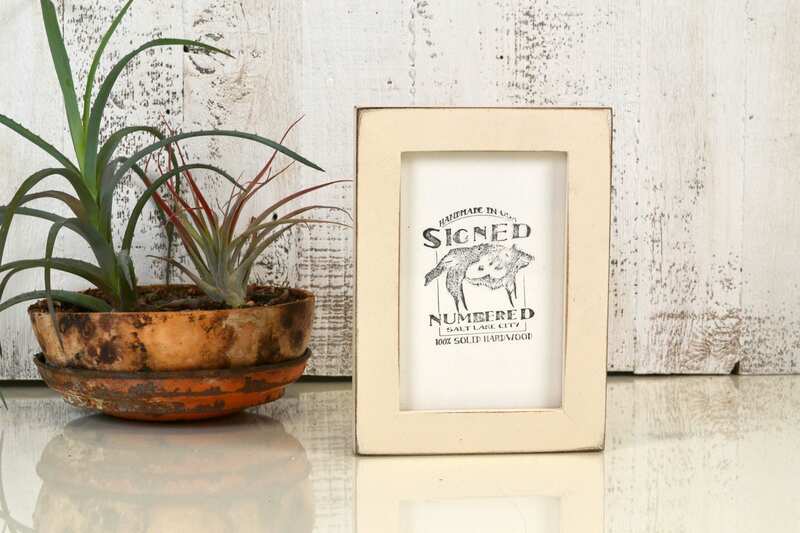 Works great as a housewarming or wedding gift, can hold postcards, art, photos, etc.